We return to Dimple Dell for another race on April 24th. 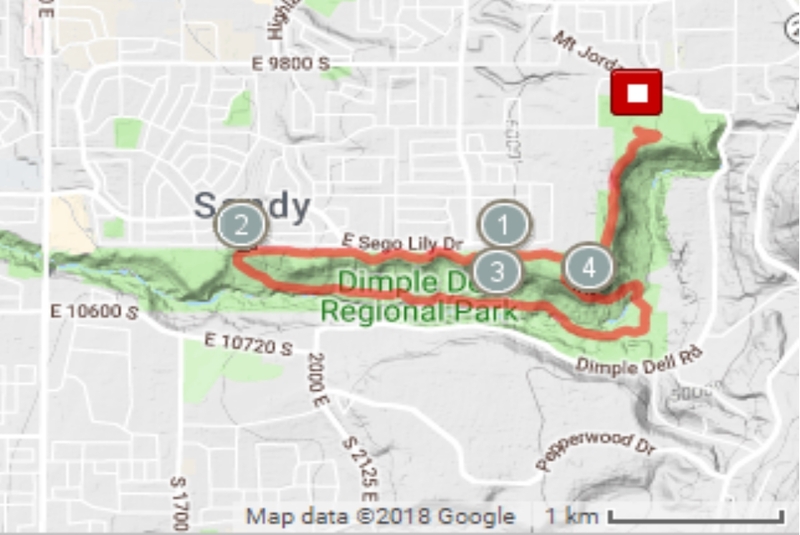 All online (purchase below) and day of race registrant $monies are being donated to the Dimple Dell Preservation Community which played the pivotal role in preventing Dimple Dell trails from being paved. “Bring not just 1 friend but 3!” to this fundraiser. All your $30 goes to the trails! Registration begins at 5 P.M.
Race begins at 6:30 P.M.
Register for the Race ($30) online and receive a glass or hydration flask (your choice). Your payment goes directly to the Dimple Dell Preservation Community Paypal account. If you register day of at the race, you will not receive a hydration flask or glass. So register online now! Start at Granite Park. Continue 1 mile along the wood chip trail. Complete a 3 mile loop and back to the park. Long Course completes two of the three mile loops.